For most people, chicken pox is an annoying but medically harmless childhood illness that conjures memories of itchy red spots and kids slathered in pink Calamine lotion. But for a pregnant woman who is not immune to chicken pox, the illness poses a potential threat to her fetus. The good news is that this is an extremely uncommon problem, and a treatable one if it does occur. What Is Chicken Pox? Am I At Risk? 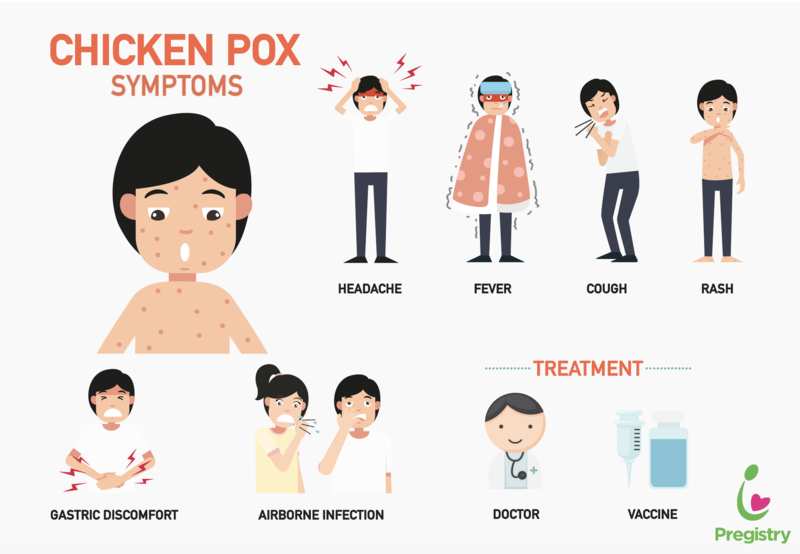 Chicken pox is caused by varicella zoster virus, a member of the herpesvirus family.1 The infection is passed from person to person through respiratory droplets or close contact. The disease, also known as varicella, usually causes fever, fatigue, and a distinctive rash that starts out as flat, small, red dots and turns into small, itchy blisters. Once you get chicken pox, you have immunity for life, unless your immune system becomes impaired, such as after a bone marrow transplant or during cancer chemotherapy. After having chicken pox, the virus doesn’t leave your body, but instead, travels to your spinal cord and stays there forever. The virus can get activated later in life and reappear as shingles (also known as herpes zoster): a rash of red, painful blisters in a small part of your body. When this happens, the disease is contagious only by direct contact with the fluid from the blisters, so if they are covered, the illness is not transmitted from person to person. Most adults are immune to chicken pox because they either had it as children or received the vaccine. The vaccine became available in the US in 1995, and was widely adopted soon thereafter. Although most cases are benign, before the vaccine about 150 people died every year from chicken pox. Because of the success of the vaccine, there are few cases of natural chicken pox in the US now, and very few deaths. Currently, most women of childbearing age had the actual disease. But some may still be at risk. If you have no history of chicken pox and have not had the vaccine, you may be at risk. Some people have no memory of having had chicken pox, but are still immune, because they had an extremely mild case of chicken pox. But if you are unsure, be sure to talk to your obstetrician about this. A simple blood test can determine if you are immune to chicken pox. What Are The Effects Of Chicken Pox On My Baby And Me? How Is Chicken Pox Treated In A Pregnant Woman? As with many infections, the first step is prevention. If you are not currently pregnant, get vaccinated. If you are pregnant or trying to conceive, then hold off on the vaccination. The vaccine contains the live varicella virus, and there is a theoretical risk that the vaccine could cause congenital varicella syndrome. However, in the first 17 years after the vaccine was introduced in the U.S., no adverse effects were found in any pregnant women who inadvertently received the vaccine.3,6 Even so, the vaccine is currently contraindicated in pregnant women. 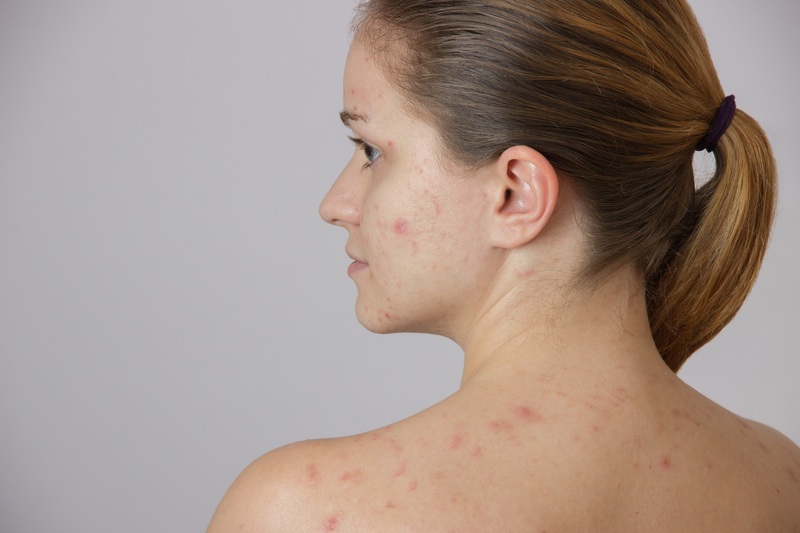 What Can I Do To Avoid Chicken Pox? First, remember that most women of childbearing age currently are already immune to chicken pox because of prior infection or vaccination. And if you are immune and pregnant, then being exposed to someone with chicken pox will not harm you or your baby. 1 American Congress of Obstetricians & Gynecologists. Practice bulletin no. 151: Cytomegalovirus, parvovirus B19, varicella zoster, and toxoplasmosis in pregnancy. Obstet Gynecol. 2015 Jun;125 (6):1510-25. 2 Ahn KH, Park YJ, Hong SC, et al. Congenital varicella syndrome: A systematic review. J Obstet Gynaecol. 2016 Jul;36 (5):563-6. 3 Gnann JW, Jr. Varicella-zoster virus: Prevention through vaccination. Clin Obstet Gynecol. 2012 Jun;55 (2):560-70. 4 Bialas KM, Swamy GK, Permar SR. Perinatal cytomegalovirus and varicella zoster virus infections: epidemiology, prevention, and treatment. Clin Perinatol. 2015 Mar;42 (1):61-75, viii. 5 Harger JH, Ernest JM, Thurnau GR, et al. Frequency of congenital varicella syndrome in a prospective cohort of 347 pregnant women. Obstet Gynecol. 2002 Aug;100 (2):260-5. 6 Marin M, Willis ED, Marko A, et al. Closure of varicella-zoster virus-containing vaccines pregnancy registry – United States, 2013. 7 Kovacs G BP. Infections During Pregnancy–Varicella, Herpes, Cytomegalovirus, Toxoplasma, Listeria, Group B Streptococcus. In: Lectures in Obstetrics, Gynaecology and Women’s Health. Switzerland: Springer, Cham; 2015:133-7. 8 Shrim A, Koren G, Yudin MH, Farine D, Maternal Fetal Medicine C. Management of varicella infection (chickenpox) in pregnancy.